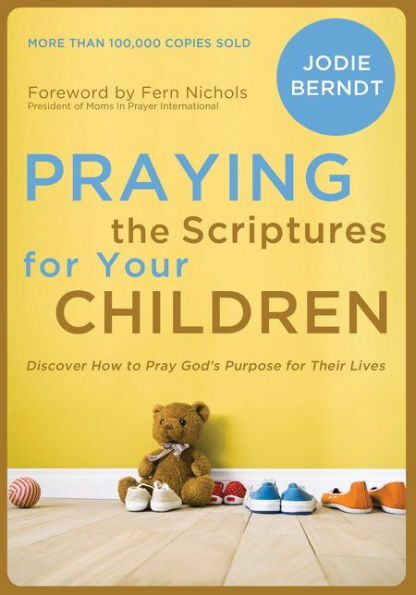 In Praying the Scriptures for Your Children, Jodie Berndt shows you how to make the Bible a book of prayers that can powerfully influence your children’s lives. You’ll discover how to pray specifically and expectantly for their faith, character, safety, relationships, and future. And through the encouragement of true-life stories, you’ll gain new, biblical perspectives on God’s purposes for your family. Whether you are a seasoned parent or brand new on the job, you’ll want to keep this book on your nightstand as a handy reference for all of the challenges and adventures that come with family life. How can we pray God’s best for the ones who leave our homes—but never our hearts? That’s the question behind Praying the Scriptures for Your Adult Children. 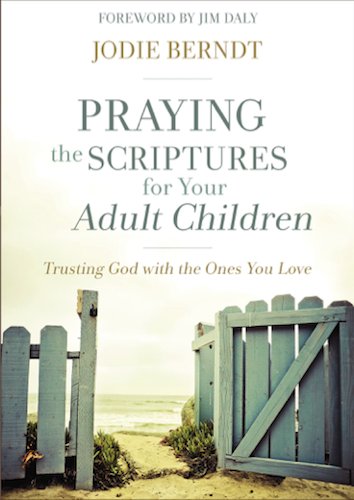 Each chapter focuses on a different stage of adulthood, with encouraging stories from parents who’ve prayed their grown-up kids through some of life’s trickiest places, and closes with a collection of power-packed, biblically based prayers. Whether you are praying for your child’s marriage, a young adult’s addiction, or a beloved prodigal, you’ll find courage and strength in these pages. And as you tether your prayers to God’s promises, you will discover his peace. It’s never been tougher to be a teenager—or the parent of one. Thankfully, from your teen’s first date to the next time he or she borrows the car keys, you can take your concerns to God through prayer. 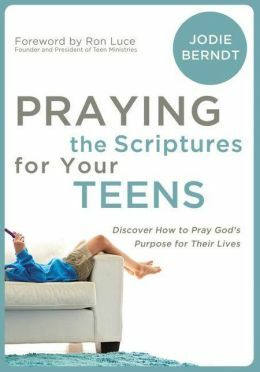 Jodie Berndt uses the Bible as a prayer guide for the stormy issues teens face: Relationships, depression, eating disorders, sexuality, a sense of purpose, and much more. 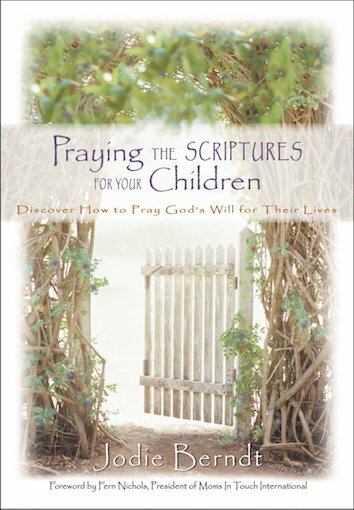 Filled with historical, biblical, and contemporary illustrations, Praying the Scriptures for Your Teens is a valuable go-to book for any parent, especially during those daunting seasons when you aren’t sure what to do or how to pray. Deona (“Dee”) Branch married into the funeral business when she wed Johnnie Oliver, a fourth-generation funeral director. The fact that her life would be anything but dull became clear as early as their first date, when Johnnie had to scoot out “for just a minute”–and came back with a corpse! 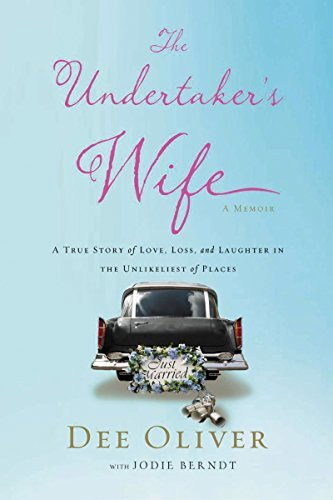 Part memoir, part how-to book, The Undertaker’s Wife offers insights on grief, survival, and the ever-present faithfulness of God. Sometimes poignant, sometimes laugh-out-loud funny, Dee’s story helps readers prepare for one of life’s only certainties–and do it with wisdom, grace, and a healthy dose of joy. Eighty percent of Americans say they believe in miracles. 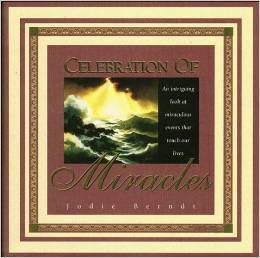 In Celebration of Miracles, Jodie Berndt offers the evidence to support our beliefs. Using historical records, eyewitness accounts, and personal testimonies retold in a lively and engaging style, Berndt explores the hows and whys behind divine intervention in the lives of mortal men. A great read for anyone who needs a fresh awareness of God’s power, his purpose, and his love—or their own life-changing miracle! What do generous people know that makes them so ready to share their time, talents, and money? 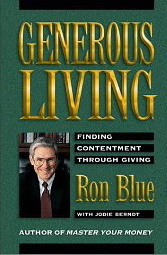 Financial advisor Ron Blue teams up with writer Jodie Berndt to explain how generosity is the key to financial freedom and a life marked by joy. In Generous Living, you’ll gain practical insights into things like making a will, setting up a trust, and teaching your children to give. Better still, you’ll discover how, when, and where to give so as to maximize the strategic impact of your generosity. Money problems are not the leading cause of divorce. But a failure to communicate about them is! In Money Talks, Ron and Judy Blue, along with writer Jodie Berndt, offer a framework for couples to talk about things like spending versus saving, setting and accomplishing goals, tackling debt, and investing for a secure financial future. 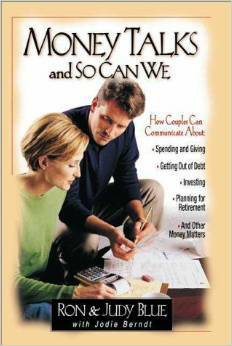 Complete with budget worksheets and financial questionnaires, this book is a must-read for any couple who wants to strengthen not just their financial picture, but their communication style and their marriage.